The HR in Law Awards will take place on 2 May 2019. It promises to be a night of celebration and glamour. 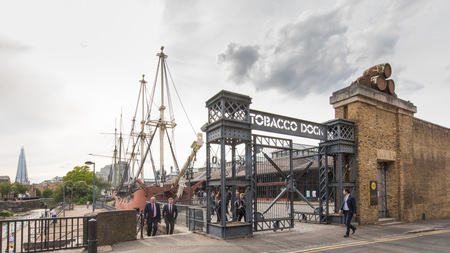 The event itself will take place at Tobacco Dock: a beautiful and iconic venue unlike any other. Located at the heart of London’s thriving enterprise zone, and just one stop on the DLR from Bank, Tobacco Dock is near to the Tower of London and within striking distance of the Tech City and London’s Financial District. *When booking a table/half table or individual place(s) at a discounted rate, please get in touch with Fiona Wilson or Sarah Morton on +44 (0)20 7749 0190 or email sales@hrinlawawards.com to receive your unique discount code before making your booking. Please read the terms and conditions before booking your table(s).